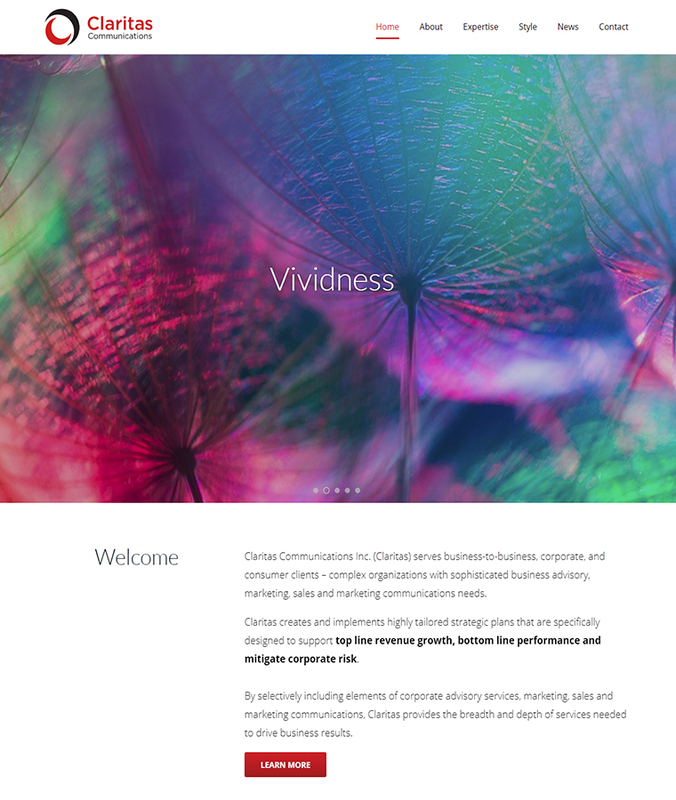 Claritas provides marketing, sales and communications consultancy services to businesses. This minimalist style website design uses bold, vibrant images to assist the company effectively communicate it’s message to customers. Less really is the new more! Many businesses are moving away from ‘busy’ websites where design and content could possibly put off visitors. They are now opting for a more simple approach, something called minimalist web design. Minimalist website designs are easy to spot as they often use lots of white space on pages. Using white space helps to focus visitor attention on content, as well as making the browsing experience much easier, as visitors intuitively know where they need to navigate to. Over complicated websites packed full of information often leave visitors feeling confused and frustrated. With the average website visitor now deciding within a few seconds whether to stay or go, you can see why minimalism is the way forward.